The JSPS UK/Japan Symposium on Computer Graphics and Virtual Reality is an international forum for the exchange of experience and knowledge among researchers and developers concerned with computer graphics and virtual reality. We will provide an opportunity for Japanese, UK and international CG and VR researchers to interact, share new results, show live demonstrations of their work, and discuss emerging directions for the field. 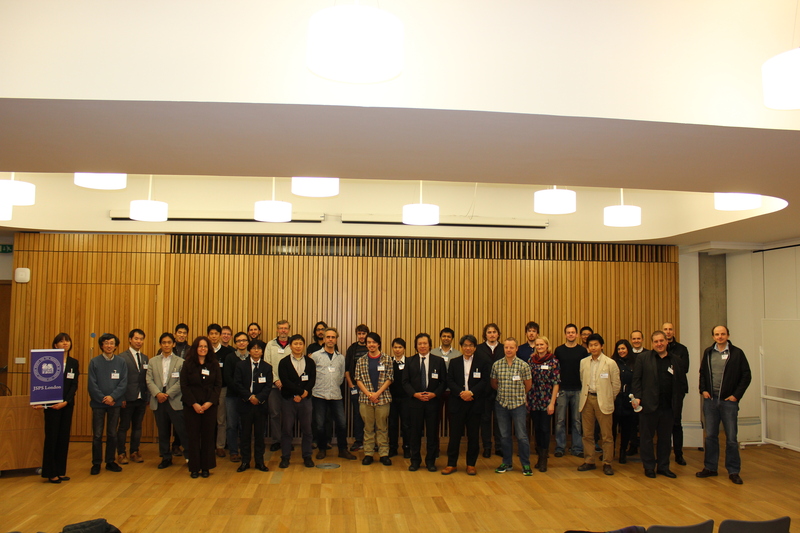 The event is sponsored by JSPS and School of Informatics, University of Edinburgh. The JSPS UK/Japan Symposium on Computer Graphics and Virtual Reality will be held in Edinburgh, UK in the beautiful capital city of Scotland. From the atmospheric cobbled streets of the Old Town to the beautiful Georgian avenues of the New Town, Edinburgh is a city of contrasts blending shopping, historic attractions, gardens and plenty of restaurants and cafes to relax in. The conference will be hosted by the University of Edinburgh in the Informatics Forum. The Symposium successfully ended with more than 45 participants from UK, Japan and Europe.